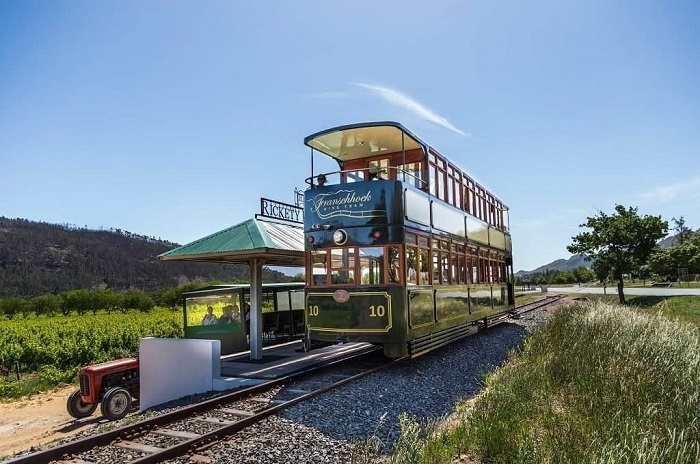 Franschhoek Wine Tram currently offers eight hop-on hop-off lines to choose from each visiting eight wine estates and showcasing a separate part of the Franschhoek Valley. 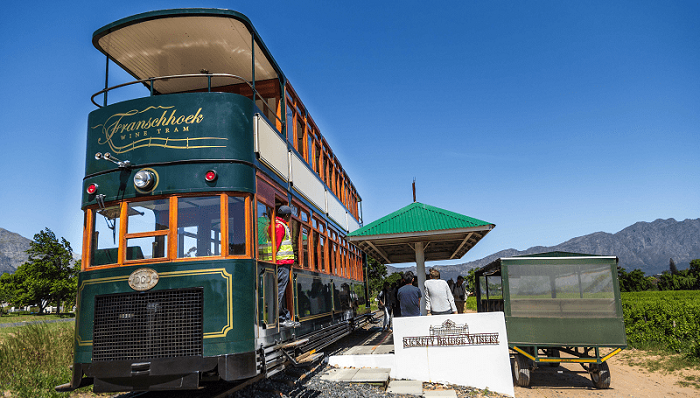 Passengers board the tour at the ticket office located in the Franschhoek Village and are transported by a combination of tram and tram-bus around a loop of stops allowing passengers to hop-on hop-off at any of the stops. 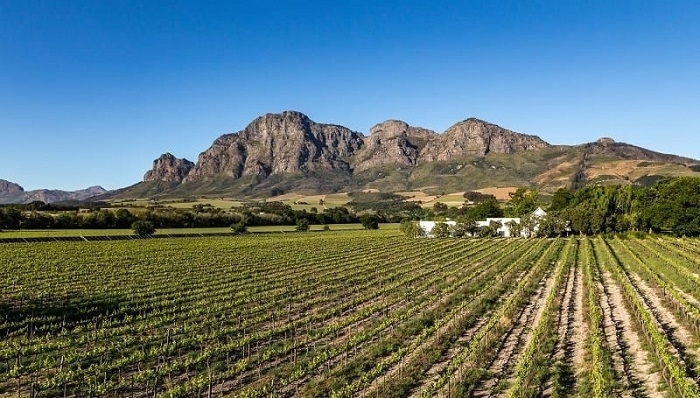 Each of the lines has a wide selection of wine estates to visit from boutique to marquee estates and each offers a unique perspective on the Franschhoek wine experience. In order to avoid disappointment we advise passengers to make lunch reservations at least 24 hours in advance of travel. 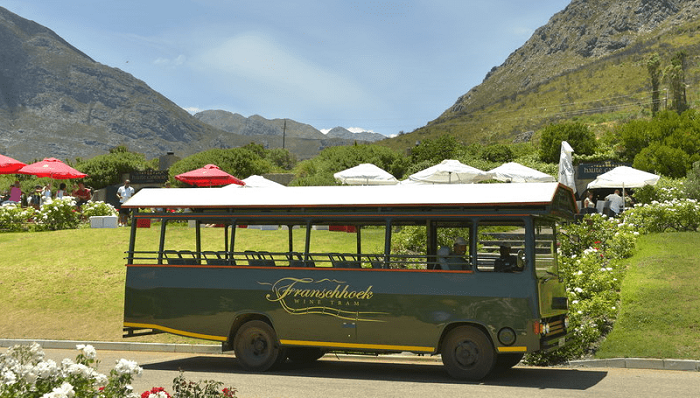 Franschhoek Wine Farms Experience, the day starts with a journey by tram to a local wine estate where a knowledgeable wine guide weaves the facts, figures and scientific aspects of winemaking into interesting stories about Franschhoek’s history of wine and culture. 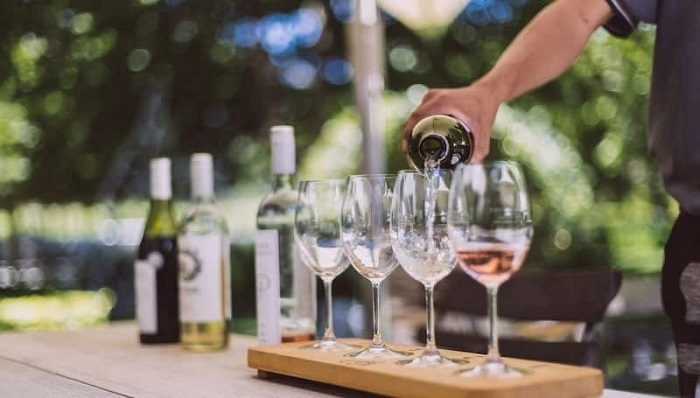 During this engaging and interactive experience, guests will be guided through, and have an opportunity to sample, the subtle tastes of terroir, as well as learn about the local grape varieties, cultivars and the aspects of viticulture which are unique to Southern Africa. A tour of the estate wine cellar will be followed by a specially curated three course lunch at the estate restaurant. 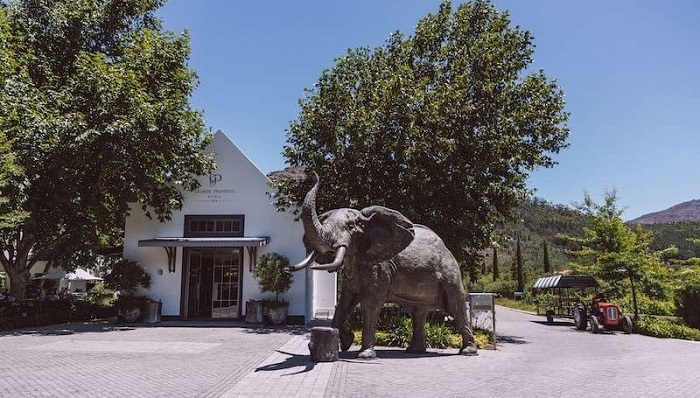 In the afternoon, guests will visit two additional Franschhoek wine estates, enjoying a premium wine tasting at each estate. 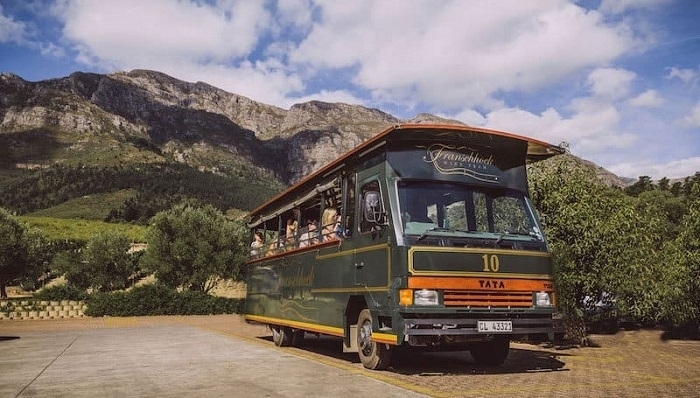 At the end of the experience, guests will leave feeling more knowledgeable and connected to the local wine culture and ready to discover the Franschhoek Valley further. 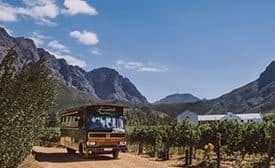 Groups experience a unique and leisurely way to see the Franschhoek Valley as they journey through rolling vineyards, stopping at some of South Africa’s oldest and most distinguished wine estates. 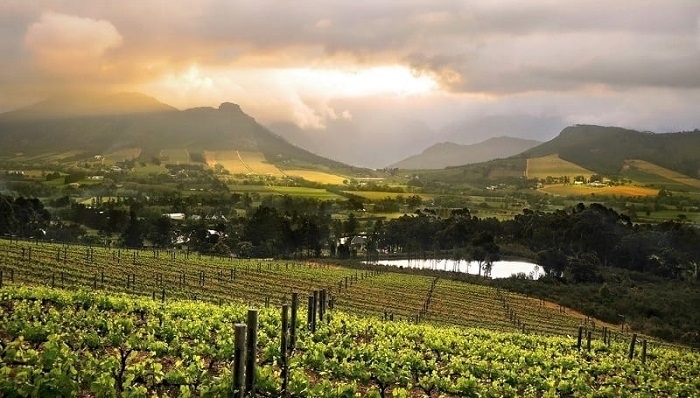 The itinerary covers up to four wine estates in the Franschhoek Valley, each with a character as rich and individual as the wines they produce. At each wine estate a premium wine tasting is served to the group showcasing the award winning wines. A wine lecture by a knowledgeable local wine guide can also be included upon request. 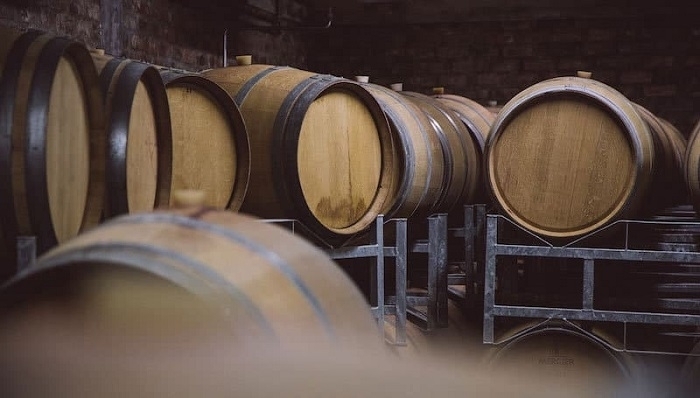 During this engaging and interactive experience, guests will be guided through, and have an opportunity to sample, the subtle tastes of terroir, as well as learn about the local grape varieties, cultivars and the aspects of viticulture which are unique to Southern Africa. 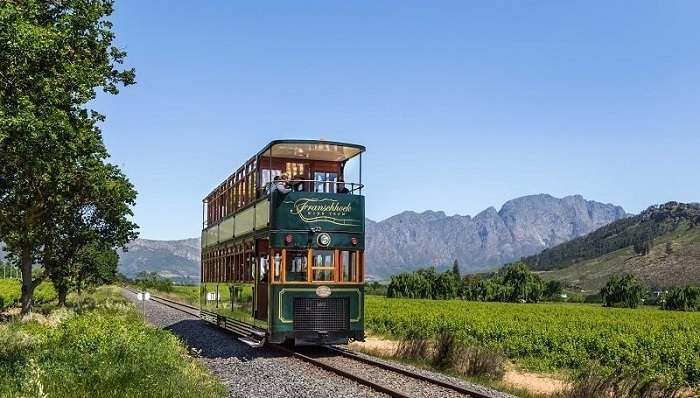 The Franschhoek Wine Tram tours stop at several wine estates which boast world-class restaurants. 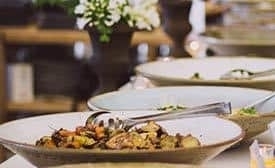 In order to avoid disappointment, it is highly recommended that passengers make lunch or picnic reservations at least 24 hours in advance of travel specially during weekends or over the summer months.